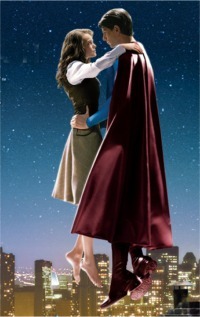 Movie Review: Superman Returns, as does the Superman inside each of us. We finally got in to see Superman Returns. It took two tries before we could get in. Originally, we wanted to go on Saturday, but the showing we planned to attend, and the two following, were sold out. So we went on Sunday morning, arriving an hour before the movie started so we could have some assurance of getting decent seats. My daughter, Dottie, who is visiting from Virginia, was afraid her five-year-old wouldn't sit still for the movie; so Dottie and Cailey went in to see Cars (which they enjoyed) instead. The rest of us watched Superman: me, Michael, daughter Karen, son John, seven-year-old grandson Zachary, and ex-wife Mary, occupying most of the row. A lot of the reviews I've read criticize Superman Returns for its apparent rehashing of Superman The Movie. And, on the surface, you can see their point. The movie starts with Superman's spaceship crashing onto the Kent farm; it includes a scene of young Clark discovering his powers; Lex Luthor is the villain and he's got a real estate scheme that involves the deaths of "billions" of people. Even Marlon Brando has a posthumous cameo as Superman's father, Jor-El. But this is not a rehash of the first Alexander Salkind film. Rather, it's like the third act of an opera, where musical themes introduced in the first act are brought into stunning focus by replaying them with different subtexts. The spaceship holds an adult Superman who is returning from a visit to the ruins of his birth planet. Luthor's real estate scheme builds off the first two Salkind films and is truly original. And the Brando dialog, when later repeated by Superman himself, will bring a tear to your eye. This building onto what has gone before, is a microcosm of the Superman tale as a whole. Sometimes a story is better than the one told by its original authors. "Superman" was invented in the 1930s by two Cleveland teenagers, Jerry Siegel and Joe Shuster; but it's taken seventy years for the seeds within their somewhat simplistic invention to fully blossom. Jerry Siegel was the son of a haberdasher who was shot and killed by a robber. That undoubtedly influenced Jerry's creation of a bulletproof superhero. There had been other comic book heroes; but Superman was the first to mix a science-fiction origin with the Moses-in-the-bulrushes tale of abandonment and redemption. Comic book stories in the late 1930s were packed with one action scene after another, which didn't allow much room for character development. 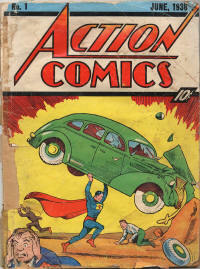 As portrayed in his 1938 debut in Action Comics, Superman was invulnerable but couldn't fly; he could only jump an eighth of a mile and "leap over tall buildings at a single bound." He had fantastic strength but his special vision powers didn't yet exist. He worked at the Metropolis Daily Star in his secret identity as Clark Kent, but was seldom seen there. Nevertheless, Action Comics became a great success and its publisher created a radio show based on Superman which hit the airwaves in 1940. Because Superman's feats were so visual, his Clark Kent persona was enhanced. The Daily Star (Joe Shuster had worked as a paper boy for theToronto Star) became the Daily Planet and the characters of Perry White and Jimmy Olsen were introduced. Superman's X-ray vision and super-hearing came into play and Kryptonite made its first appearance, not working its way into the comics for another eight years. More important than the enhancement of Superman's powers, though, was his blossoming as a human being. Superman's birth father had originally been described merely as a "scientist" on a world of scientists. Now, for the first time, audiences heard Jor-L and his wife, Lara (played by Agnes Moorehead), agonize over their planet's impending doom and the need to send their infant into space for his own survival. (The spelling changed to Jor-El in later years.) Superman's birth name was Kal-El, which meant "Star Child" in the Kryptonian language. 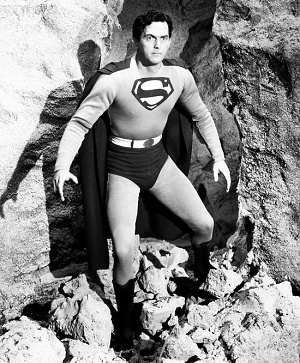 1940s movie serials starring Kirk Alyn as the Man of Steel, the 1950s TV show The Adventures of Superman, the 1980s syndicated TV show Superboy, the 1990s Lois and Clark: The New Adventures of Superman, and the current series Smallville have continued to enhance the story, largely by concentrating on Superman's motivations, especially his conflicted relationships with Lois Lane as both Superman and Clark Kent. The Alexander Salkind movie series, starting with Superman The Movie and Bryan Singer's new film have continued the trend. 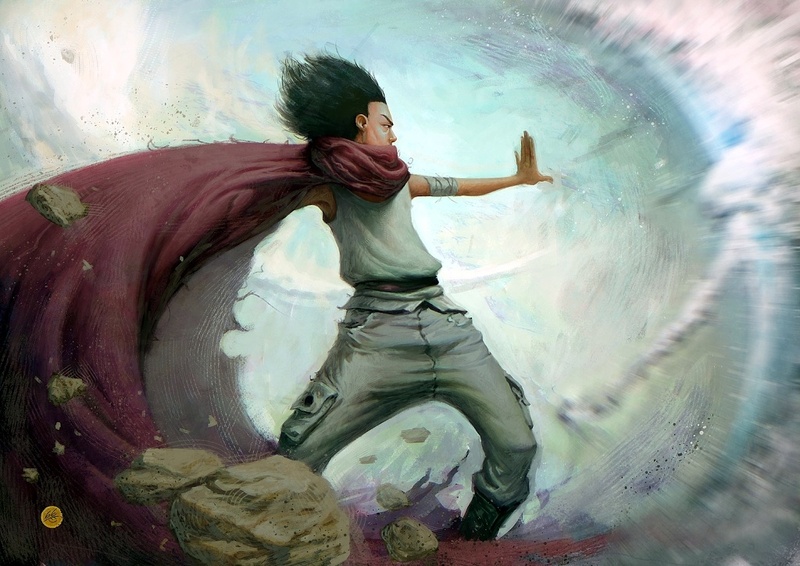 While the various series might contradict each other in details, the essential tale of a super-powerful being of goodness hidden, disguised, as a flawed human remains constant. The Superman story has always struck a chord with closeted gay men, who felt they had to live suppressed, mild-mannered "Clark Kent" lives that hid a fabulous, cape-wearing inner self who could fly only if freed of that outer persona. But I believe the universality of the story is that everyone feels this way. Our public selves may fumble with the day's problems and humiliate ourselves in front of the person we love, yet inside we know there is an all-powerful being who, if only it could be freed, could easily solve all those problems and be loved by all in return. In a way, the fact that Superman's story is universal shows that, subconsciously, we are all already aware of this Truth: Divinity is our core; our physical selves merely illusions. As the saying goes, "We are not humans having a spiritual experience. We are spirit having a human experience." Cast down to Earth from paradise, we now live humdrum, Clark Kent lives that we strip off only occasionally for a rare, superhuman feat we then pretend never happened. Alternative literature and late-night radio abounds with tales of the superpowers we all possess. Once, before I met him, my husband Michael was walking home late at night in Manhattan when a thug grabbed his wrist, probably trying to steal his watch. To their mutual surprise, Michael levitated twelve feet into the air and halfway down the block before alighting. The thug screamed and ran the other way as Michael, attempting typical superhero repartee, shouted after him, "My watch doesn't even work!" Needless to say, Michael has been unable to duplicate this feat. I have a similar story. When I was in junior college I had a pal, Craig, with an artist roommate named Jeff. I despised Jeff, who was rude, self-centered and self-absorbed; but I treated him civilly in deference to Craig. One day while visiting the apartment they rented, I was alone in the living room and picked up Craig's guitar and began to play. After a few minutes, Jeff came home with a six-pack of Bud, completely ignored me, turned on the stereo, popped open a can and sat in a big, overstuffed chair behind which were propped several rolled-up canvases of his artwork. If he'd said hello, if he'd mentioned that he wanted to listen to an album, if he'd offered me a beer—any of the little niceties that we all take for granted—I'd have had no complaint. Without them, though, I was royally pissed off. Still, it was his house; and I determined to just swallow my anger rather than sinking to his level and punching him out as he so richly deserved. Just at that moment, I felt a rush of—something—build up from my heart and explode through my face. Jeff's heavy chair, easily weighing a hundred pounds empty, flipped backwards, spinning on one foot and dropping sideways so that Jeff's beer spilt all over his canvases. My jaw dropped. I was at least ten feet away from his chair, but I knew that, somehow, I was responsible. I had felt the energy erupt from my face just before the easy chair had been flipped over. It felt like cause-and-effect as surely as if I'd pressed a button to make it happen. And Jeff's resentful glare in my direction showed that he felt it, too. Could I prove it? Of course not. Have I ever been able to do it again, intentionally? Nope. Clark Kent doesn't have the power to flip easy chairs at a distance. But sometimes, when we least expect it—the Superman inside us returns.